Women of Teal is a play on the words "Man of Steel" used to describe Superman. I have found my fellow ovarian cancer survivors to be the strongest, most helpful women in the world. They are truly Women of Teal! Last week I heard about Chemo Angels. Below is some information they provided me about their program. The Chemo Angels program offers support to those who find themselves battling a cancer diagnosis and undergoing IV chemo treatment. The angel volunteers support their “buddy” throughout their journey with weekly cards, uplifting messages, supportive words and lots of positive energy. The encouragement the Angels provide helps give patients the comfort and confidence of knowing they are not alone in their fight. The goal of Chemo Angels is to help fuel a positive attitude and aid in the road to recovery. "I would like to thank your organization and the "chemo angels" who took their time to write to me. I know when I was in chemo I appreciated every card and gift that arrived in the mail. It made me feel I had many people on my side. So check out www.chemoangels.com whether you are a patient who would love support. Or if you are someone who would like to be an angel for a patient. All cancers types are as long as you are getting IV Chemo. 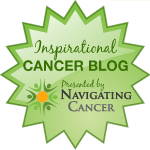 Please check my gynecologic cancer blog list here on listly.com . Certain entries in this blog deal with health and medical related issues. 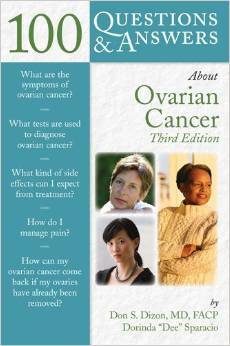 Always seek the advice of a trained health professional with any questions you may have regarding ovarian cancer. The information on this blog is not intended to replace proper medical care.